Proper dental care can detect dental disease that not only affects the mouth, but can also lead to more serious health problems such as heart, lung, and kidney disease. Dental disease is the number one disease problem in both dogs and cats and has been for years. Dental disease contributes to heart, liver and kidney problems. Assessing dental health yearly is very important to your pets overall healthy and life expectancy. 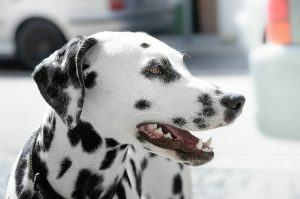 Pet Dental Care - What to expect? We’ll start with an oral exam of your pet’s mouth. Because most dental disease occurs below the gumline, where you can’t see it, a thorough dental cleaning and evaluation are performed under anesthesia. Dental cleaning includes scaling (to remove dental plaque and tartar) and polishing, and sealant application similar to the process used on your own teeth during your regular dental cleanings. Just like with us, if an animal has pain in their mouth, they can become irritable.